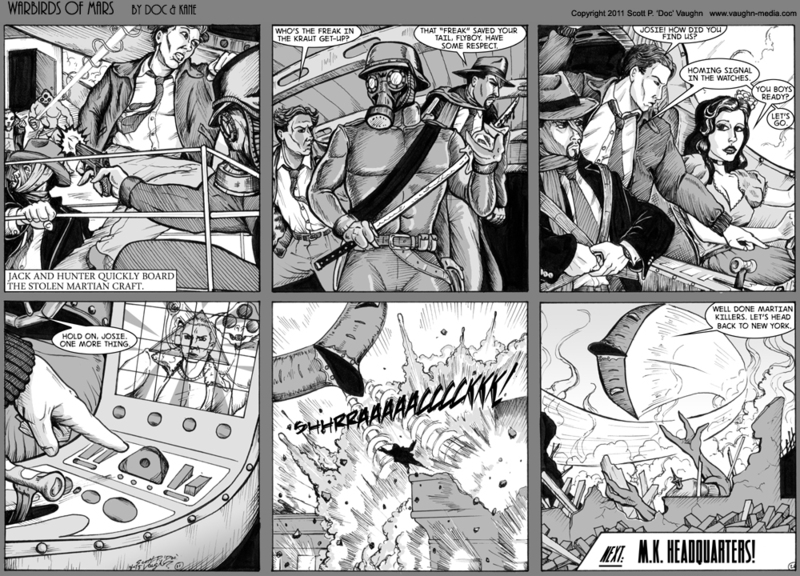 …This completes the first Story arc… I may get a couple weeks behind before the next page posts… stay tuned! Posted on April 22, 2011 at 12:01 am in WARBIRDS OF MARS 1. Follow responses to this post with the comments feed.